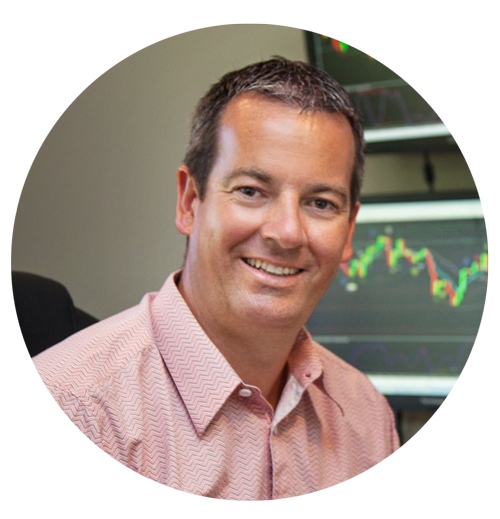 Hi everybody, Andrew Mitchem here and I am the Forex Trading Coach. Today is Friday, the 16th of November. Well we had another fantastic live trading webinar last night. And on that webinar I concentrated on the psychology of trading. Each time I have a webinar I specialized in a particular subject. I create a PDF File for my clients and then we go through a particular subject each time. Last night was psychology and understanding the whole mentality behind trading because obviously a lot of people want to become full time Forex traders. And like you're probably finding out it's not quiet as easy as it’s made out. But through my course I try to help my clients who want to become full time traders so we specialized in that subject last night. During the webinar I had one client who’d made a ten to one trade. Well he still had a trade open. Another client had a five to one risk to reward trade. So for the client who had a ten to one – that means he’s risking let’s say half a percent of his account -half of 1% of his account on the trade. And he’s up 5% on the open trade – that’s a fantastic risk to reward. On that webinar also I mentioned a great trade on the Euro/New Zealand Dollar on the four hour chart which made perfectly as well straight after. For myself, I had a great week this week + 3.28% return on my account this week risking just a quarter of 1% per trade. So 3.28% trade return really pleased with that – if I only every week could be quite good as that! It would be fantastic! But starting a new week next week – let’s see what we can achieve there as well. Also to let you know (this is for New Zealand based clients mostly) that on the 27th of November I’ve been asked to be a guest speaker for the broker City Index who are launching into New Zealand. So I’ve got about an hour to an hour and a half presentation I’m giving for them as their guest speaker on Tuesday, the 27th of November. So if you’re around the Auckland region it’d be great to see you there. The event will be recorded so hopefully I have that on my site if obviously you're overseas and can’t make the event. On to the currencies themselves, we saw a lot of weakness in the Japanese Yen this week. However I did note to my clients today, Friday, that the Japanese Yen has reached resistance against a lot of currencies. However, if we see that resistance broken heading into next week, expect the Yen to weaken further so could be really good tip there in looking for trades like the Australian Dollar, New Zealand Dollar, Euro, Franc all against the Japanese Yen looking for them to increase and the Japanese Yen to decrease. But look first of all for those resistance levels to be broken before jumping in to those long positions. That’s all for now! Hope you’ve had a great week. Look forward to talking to you this time next week.